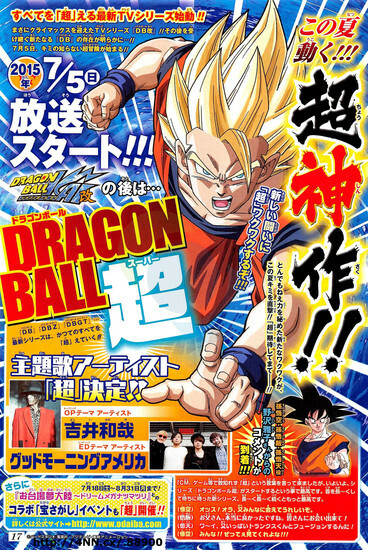 The 28th issue of the Weekly Shonen Jump magazine has confirmed that Dragon Ball Super, the newest installment of the popular Dragon Ball series, will debut in Japan on July 5th of this year. Our source has also confirmed that Dragon Ball Kai will end shortly before the new series airs. Are you excited about Dragon Ball Super? Let us know in the comment section below. Youtuber, reviewer, and frequent anime viewer. Next ArticleJustice League: Gods and Monsters Chronicles Series Premieres Trailer!